UPDATE: 'Eagle Snatches Kid' Video Makers Admit Hoax : The Two-Way It's a dramatic scene: A large bird appears to swoop down on a toddler and briefly lift him off the ground. But many on the Web quickly concluded it was a fake. Now a design and animation school in Montreal has said three of its students made the video for a class. Note: There is a fleeting expletive near the start of this video. Three students studying animation and digital design at Montreal's Centre NAD, the school says, made a video that's gone viral today because it looks (sort of) like an eagle snatched a baby off the ground and started to fly away with the little kid. But Centre NAD "reassures Montrealers" that there's "no danger of being snatched by a royal eagle." The video was a digitized class project, not a real snatching. It IDs the clever students as Normand Archambault, Loïc Mireault and Félix Marquis-Poulin. But wait, could this admission just be a trick? Anybody up for some digital analysis of the school's press release? Probably not: According to the school, its students have fooled some folks before, with a "Penguin escaped zoo in Montreal!!!" video. It may be a fake — and many on the Web are saying just that. But it's for real that the "Golden Eagle Snatches Kid" video of something that supposedly happened in Montreal is going viral this morning. The team at StoryfulPro has collected some of the debunking that's going on. There's work being done on Reddit, for instance on the sudden appearance of the bird's shadow. 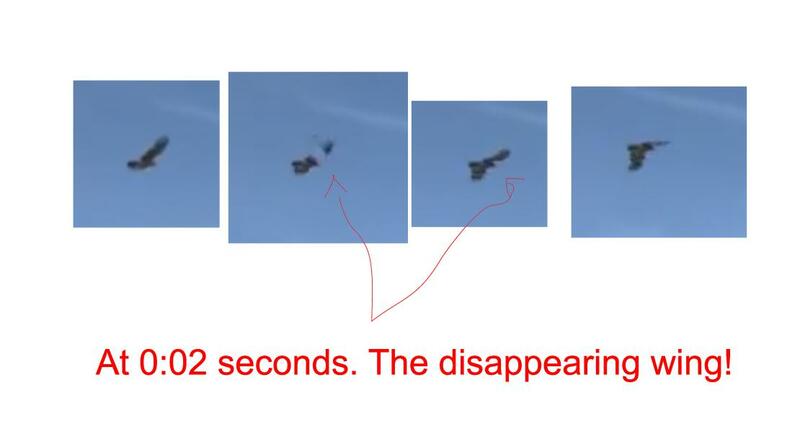 On Twitter, "@thornae" has been posting about things such as "the disappearing wing." The Montreal Gazette, meanwhile, says that "on CBC Radio Thursday morning, bird expert David Bird called the incident a hoax, pointing out that it's an image of an osprey, not an eagle, as the video states." Two-Way readers who sideline in digital forensics are welcome to offer their analyses in the comments thread. Check this video from AnimalWire. And, yes, we (like many other news outlets) have a message in to the video's creator. If we get in touch we'll update with what we find out.